Monitor, measure and fulfill orders better and faster with SellerActive and topShelf. Many ecommerce sites use SellerActive to manage prices and stock information on multiple sales channels. With topShelf integration into SellerActive, you can synchronize your warehouse data with multiple selling channels for real-time data that will make your business more productive and efficient. If you find yourself toggling between multiple screens to find pricing data, product inventory information, and customer emails, you know how bothersome it can be to have multiple software packages that cannot communicate with one another. topShelf and SellerActive integration makes it easy to share data among these two robust software packages to better manage your ecommerce business. Reduce overstock and sellout: Data gives you better insight into your inventory situation. You can see at a glance what needs replenishing and what may be stalled. Use this information to push sales via SellerActive into different channels like eBay, Amazon marketplace, and more to even out inventory levels and sell down excess. Sell on more marketplaces: Explore and add new marketplaces to your omnichannel ecommerce business easily. Access inventory data anywhere: topShelf’s dashboard works on your smartphone through an app just like your favorite websites and social media sites. It’s easy to access anywhere you have an internet connection. Since it’s cloud-based, data uploads instantly, and you get real-time, accurate information all the time. Add shipping options: Easily add multiple shipping options to improve customer satisfaction. 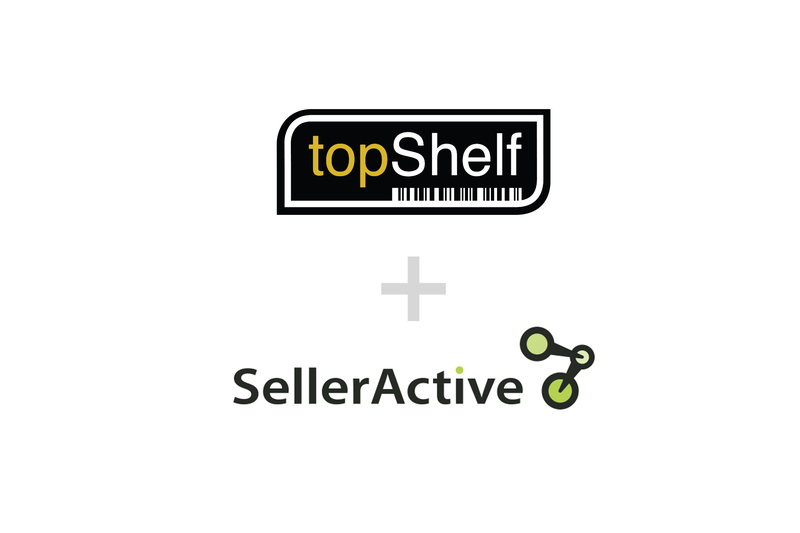 If you’re ready to get your hands on real-time inventory data…if you travel frequently and need mobile inventory data…or if you just want the convenient of increased productivity, then it’s time to explore SellerActive integration with topShelf. Scout Software offers an online library of demonstration videos and more for you to review. Once you’ve had a chance to see them, call us at 651-964-3259 for more information.